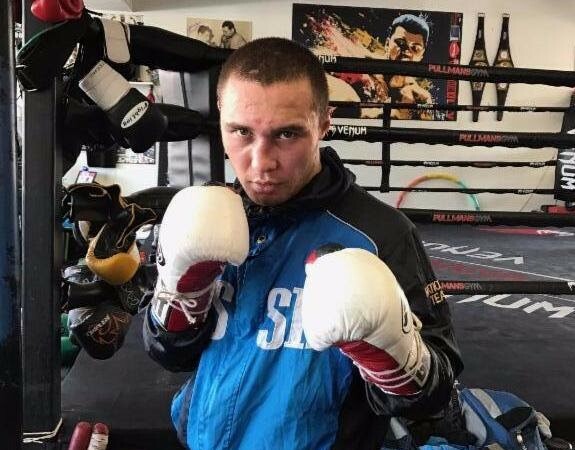 Sergey Lipinets 15-1 (11) established himself as a welterweight contender with a 10th round stoppage of former two-division titleholder Lamont Peterson 35-5-1 (17) at the MGM National Harbor in Oxon Hill, Maryland in Sunday night. In a thrilling contest Lipinets took over in the seventh round when a right hand wobbled Peterson, who never seemed to fully recover. Despite a left eye that was rapidly closing and a nose that was leaking blood, Peterson did his level best to keep himself in the fight but Lipinets had the ascendancy. In the 10th round a left hook sent Peterson reeling backwards and a handful of follow-up shots forced his corner to throw in the towel. The time of the stoppage was 2:59. “I feel great at 147 pounds, no doubt about it. I feel strong. Just now I fought a guy that is not an easy guy to fight. Lamont Peterson is an excellent fighter,” said Lipinets via an interpreter. Lipinets was having his first genuine fight at welterweight after suffering his only professional loss to Mikey Garcia in his first defence of the IBF junior welterweight title he won from Akhiro Kondo by unanimous decision in a fight for the vacant title in November 2017. The 35-year-old Peterson announced his immediate retirement in the wake of the loss.